Thermoforming and injection molding are two popular methods for creating custom plastic parts and components. Either method offers benefits and disadvantages depending upon the size of your product and the scale of your project. Both processes can use a wide variety of materials to create your product, and there are several finishes and colors from which to choose. The process, cost, and lead time required for thermoforming differ greatly from the requirements for injection molding. In order to make the right decision on which method to pursue your custom plastics project, you need to understand how each method works and what kind of projects will suit the method. The thermoforming process requires heating a plastic sheet to a malleable temperature and forming it into a mold or tool. This is a single sided process – the sheet is pressed to the mold and either suction or pressure is applied to ensure that the plastic adheres to the shape of the mold. This means that only one side of the finished product can be controlled by the mold’s shape and that there is only so much variance between the thickness in each part. Thermoforming tends to be best for parts that are larger than 4’ x 4’. 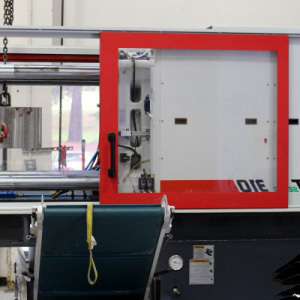 There are several kinds of thermoforming: Advanced Plastiform, Inc. is proud to offer vacuum forming, plastic pressure forming, and twin sheet forming. The vacuum forming process involves pressing the heated plastic sheet to the mold and vacuuming out the air to form a tight fit against the mold. Plastic pressure molding works in an opposite way to vacuum forming – instead of removing the air between the sheet and the mold, heavy air pressure is used to force the sheet to the shape of the mold. Twin sheet forming uses two sheets of heated plastic are pressed against one mold from opposite sides and fuse where both sheets meet. The production begins with designing and prototyping the 3D mold, which will be cast from aluminum. Once the custom plastic thermoformed parts have been produced, the tooling process begins. The larger the piece, the shorter the tooling time will be. Finally, the parts are trimmed, and then painted, silk-screened, or have a specialty coating applied, or can go uncoated, before being shipped out for delivery. Lead times for thermoformed products are relatively short. Prototyping, design, and development of the mold, compared with other methods, do not take much time at all. In fact, overall, thermoforming has the lowest turnaround time, as production time takes eight weeks and tooling time takes six, for a total of 14 weeks. Costs can also be relatively low compared with injection molding. The cost of the tooling is lower, and up to a certain part, production number remains relatively inexpensive. Ideally, thermoforming is best used for small production runs of between 250 and 3000 parts annually. Larger counts will start to produce costs that are closer to injection molding costs, or potentially be higher. The injection molding process requires plastic pellets heated to a liquid state and then injected into the mold under extreme pressure. This forces the molten polymer into the shape of the 3D mold. Unlike thermoforming all parts and sides of the part can be controlled when the part is produced and variable thickness can be allowed within a single part. Injection molding tends to be better suited to products that will be smaller than 4’ x 4’. The production also begins with design, development, and prototyping, but this period is often much longer than in a thermoforming project due to this method requiring very exact specifications, sizes, and overall look. With plastic injection molding, the double-sided 3D mold is created out of steel, aluminum, or a beryllium-copper alloy. Once the production of the injection molded part is complete and cooled, the long tooling process begins. Once cooled, unlike thermoformed projects, depending upon the design and materials used for the mold, an injection molded part will likely need to be painted, silk-screened, or have special coatings for aesthetic reasons. Lead times for injection molding are quite long. The design, development, and prototyping phase takes a while to be completed properly, and the injection tool has to be designed, as well. In addition to this, production and tooling time are much longer than in thermoforming: typically, it takes four weeks for production, with 12-16 weeks to properly tool the final products, for a total of 16 to 20 weeks lead time. Upfront costs for injections molding tend to be on the higher side. The time and labor to properly develop and prototype the mold and the injection tool can be large, and the tooling costs are bigger as well. However, the costs of creating the mold and the injection tool are one-time costs – they never need to be recreated again. This is what makes injection molding cost effective for large quantity products, as the costs of the material are low, so the cost per part remains low as well. Should You Use Thermoforming or Injection Molding? While there is no hard and fast rule for which kind of process you should use to manufacture your custom plastics parts, there are some general guidelines that can help you make that decision. Thermoforming is best used and cost-effective for larger parts and products that require small quantities, due to the number of materials used and the tooling times. These would be parts that only need to produce 250 to 3,000 parts per year. 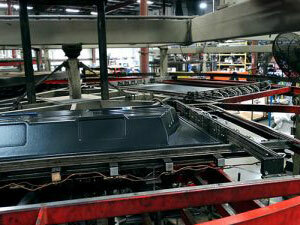 Thermoforming is best for creating large parts and consolidating multiple parts into a single part. It’s also aesthetically pleasing unpainted. Due to the large upfront costs but low cost per part with high volume, injection molding is most efficient and cost-effective for parts that are smaller and have a higher annual volume, more than 3000 annually. Injection molding is better for creating small parts with minimal consolidation. It’s also great for variation, creating parts with variable thickness in a single part. Since no two projects are the same, in order to get the best custom work for your custom plastics project, talk to the production and engineering team at Advanced Plastiform, Inc. By utilizing our services during your early development stages, we can better aid you in the middle and later stages, ultimately saving you time and money on your next project. When you are ready to get started with your custom pressure-formed or injection molded product, contact Advanced Plastiform. Inc. API offers high quality, custom manufactured components to companies in North Carolina, South Carolina, Georgia, Maryland, Pennsylvania, Tennessee, and Virginia.